How to get there: See the description under Hårteigen for the closest road access. Route description: Hike one of several trails (see eg. 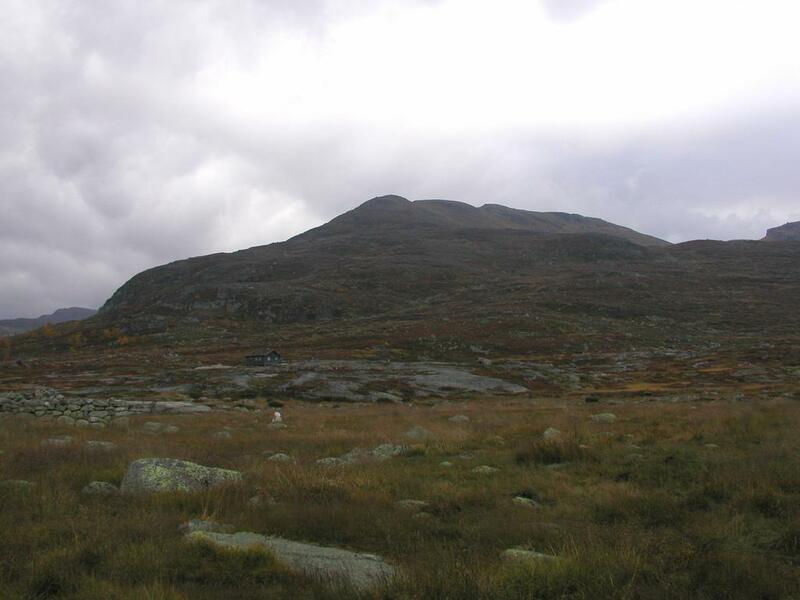 the DNT guide "Til Fots i Fjellet") in order to reach the self serve mountain hut named Hadlaskard. 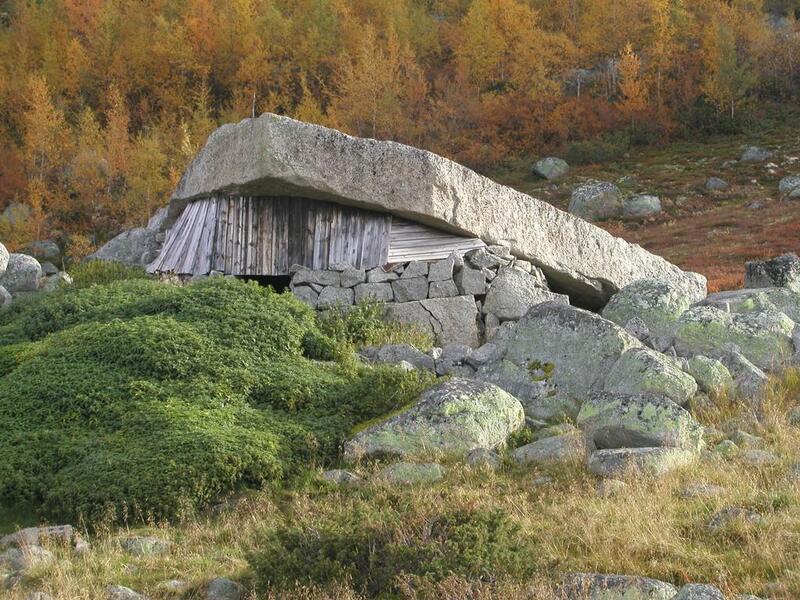 This hut is located at the base of the mountain. 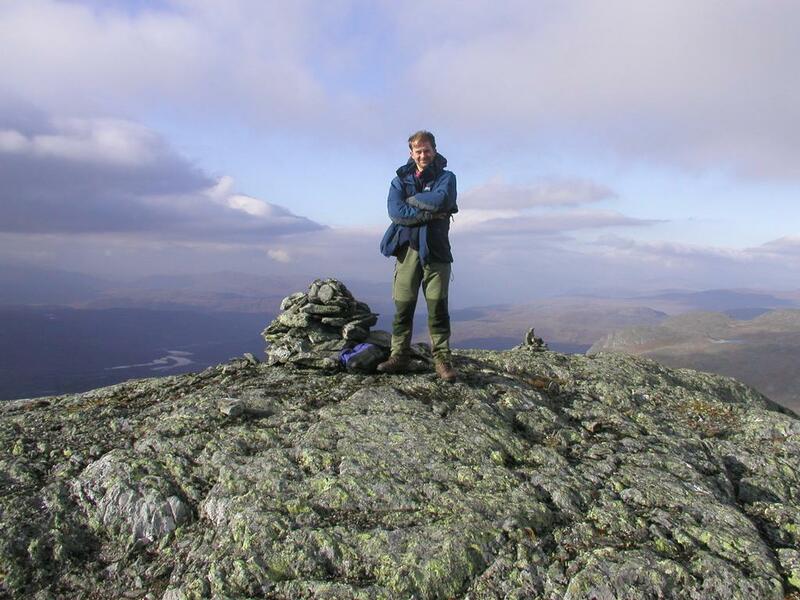 From Hadlaskard, one can either hike east while staying south of the main ridge line, or one can follow the ridge to the summit. The most direct and easier route is to hike a bit south of the main ridge. Such a route will take you up into a saddle named Kisteskard where a small lake (1358 m) is located. From here, do a gradual ascent east to the south-east summit. The alternative, hiking along the ridge all the way from Hadlaskard is a bit longer, and involves minor scrambling along the higher part of the ridge. This route will take you to the north-west summit first. Comments: I did this hike with Arnt Flatmo. We started from Hadlaskard around 1500 and returned to the hut about 1745. We hiked the main ridge and visited both summits, each being marked at 1613 m. on the map. We returned to the hut by way of Kisteskard. Store Grananutane, as seen from the hut Hadlaskard. The west summit of Store Grananutane, Arnt Flatmo. 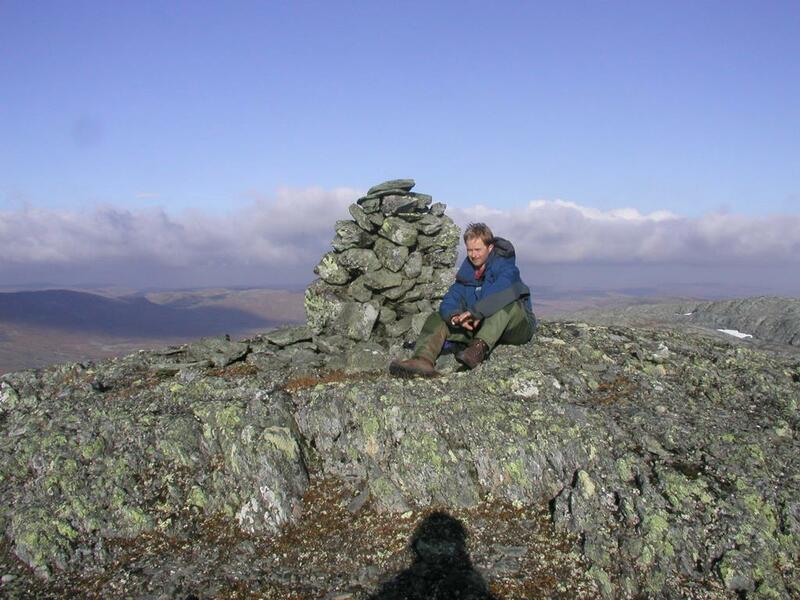 The east summit of Store Grananutane, Arnt Flatmo. 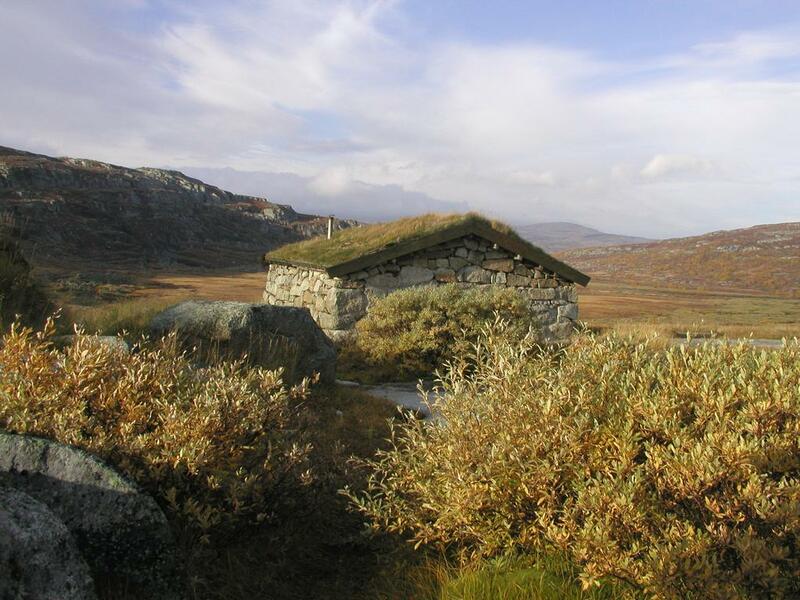 Traditional cabin on Hardangervidda, used for hunting. Nature's roof, a gigantic flat rock used as roof.